Protecting a single PC from viruses, malware, and other security risks is difficult enough. Now that the typical tech’d-out household contains multiple tablets and smartphones, as well as one or more PCs, securing all of them can quickly become a big hassle. Responding to all this hardware proliferation, McAfee has announced a new tool called LiveSafe that's designed to be a protective umbrella for pretty much all the devices we may juggle (Windows Phones and Chromebooks being the notable exceptions). For Windows PCs and Macs, LiveSafe will offer antivirus, antispyware, and other protections. 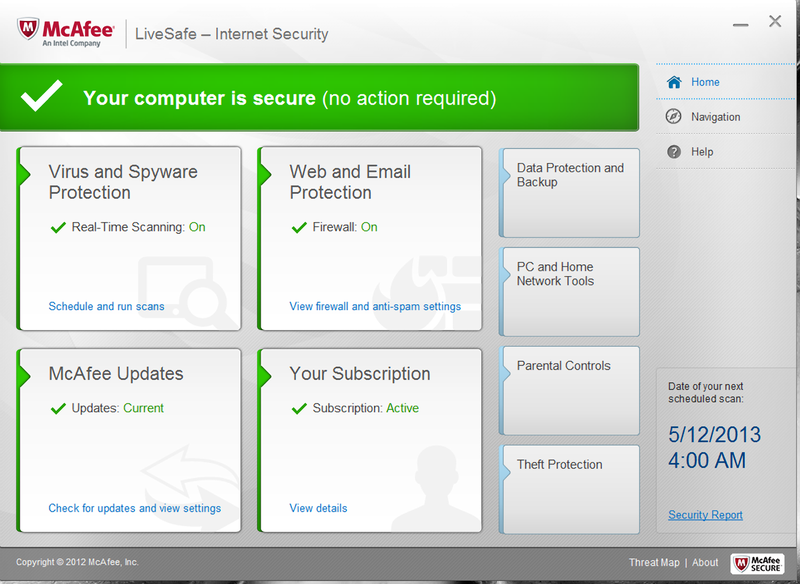 LiveSafe has a Web-based central interface for managing all of its functions and protected devices. For Windows PCs and Macs, LiveSafe will offer antivirus, antispyware, and anti-phishing protection, plus a two-way firewall. Identity protection and parental controls will also be available, along with safety ratings for websites. A few of the most advanced features will be available only if you happen to be buying a new Haswell-based PC or tablet when that hardware finally goes on sale. LiveSafe will leverage the Intel Anti-Theft Technology and Intel Identity Protection Technology (IPT) that's hard-wired into those new CPUs. The other LiveSafe features for PCs will work regardless of which CPU you're running. For supported mobile devices, LiveSafe will provide antivirus protection, plus data backup and restoration. You’ll also be able to locate, lock, and wipe a lost or stolen mobile device. In addition, Android devices will get Web and app protection, while both Android and BlackBerry devices will have a filtering tool for phone calls and SMS text messages. Personal Locker will store up to 1GB of precious data and require facial, voice, and PIN authentication to access it. 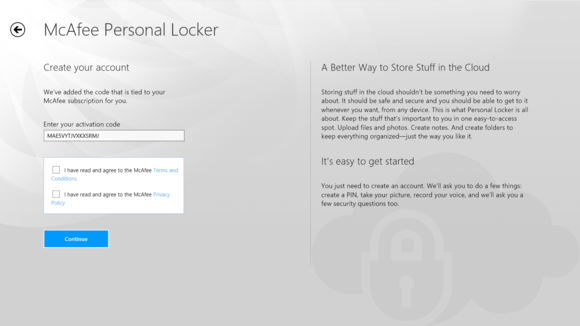 Personal Locker is the most interesting new feature. It’s a cloud-based account that you can use to store sensitive data. You have to provide voice, face, and PIN authentication to access the account—an extremely high level of security. The authentication app works on Windows 8, iOS, and Android devices. You get up to 1GB of storage with the account. An $80 subscription to McAfee LiveSafe offers a year’s worth of protection for an unlimited number of Windows, Mac, iOS, Android, and BlackBerry devices. If you purchase certain new computers after Haswell starts shipping, you’ll get the first year’s subscription for just $20. In all, LiveSafe looks to be a comprehensive attempt at managing digital security in the age of mobility. The security suite will be available as a preloaded $20 option on some Dell hardware starting June 9, and then begin hitting the retail space in July.